Home BUSINESS Sacco assures members of safety of their investments. Sacco assures members of safety of their investments. Following the Ekeza Sacco sh. 1.5 billion saga that saw members protest to the DCI offices, many investors are now expressing fears in investing in societies especially those that do not follow proper policies and by-laws that govern saccos. In an AGM of Broad Borders Housing Cooperative, members called on the management to strictly adhere to resolutions passed in the AGM to avoid such misunderstandings to avoid plunging into similar chaos as witnessed in some of these troubled Saccos. Majority of those in attendance confessed to attending with a view to getting assurance that their hard earned investments were safe. Responding to their fears, Broad Borders Housing Cooperative Chairman Mr. Jeremy Karemeri said that Kenya has the best policies in terms of societies based by the fact that the country’s history in sacco investments ranges for many years. Karemeri assured the members by stating some of the laid down procedures in the society to ensure that no complaints will be raised. He insisted of the need for a society to do exactly as the members pass in an AGM citing such ignorance as some of the reasons that a society collapses. He gave an example of over 3,000 title deeds that have been produced but only 1, 000 have been collected since majority of members are yet to clear their debts, adding that it is better the society to fulfil its role and mandate to members than having the members complain of shortcomings by the society. 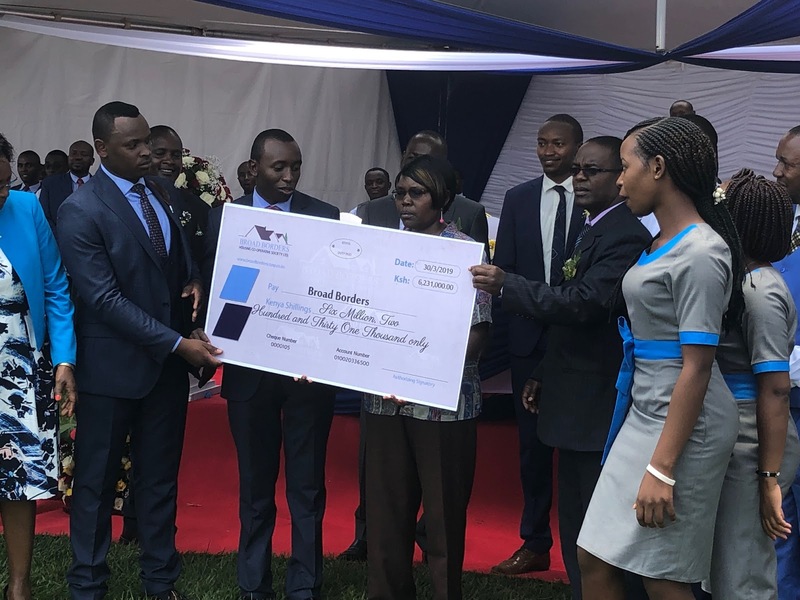 At the same time, members received dividends at 12 percent, that saw the chairman laud the cooperative saying it scooped the best cooperative in issuing dividends Award last month.